.:. Milan is not a movie industry capital. Rome is where all the movie sets are. Milan merely provides backgrounds for some excellent Italian films and, more often, the funds needed to finance them. Perhaps it prefers to reminisce, looking back to 1946 when ICET (Industrie Cinematografiche e Teatrali) first came on the scene. In ten years ICET produced 50 films and close on 300 documentaries. Alongside adventure, comedy or opera movies of indifferent quality we find higyli regarded titles and directors: Marcel Cravenne's La danse de la mort (1948, with Eric von Stroheim) and André Cayatte's Nous sommes tous des assassins (1952). The most famous film from ICET was MiracoIo a Milano ('Miracle in Milan', 1951) directed by Vittorio De Sica and Cesare Zavattini, which was filmed entirely in the suburbs of Milan. The city is viewed with simplicity and lyricism - certainly one of the most affectionate portrayals of Milan ever to have been put on film. .:. Director Ermanno Olmi adopts a more detached and critical outlook towards Milan. In the early 1960s he was taking his first steps in those same Milanese circles from which the Taviani brothers were later to emerge. Olmi's Il posto ('The Job', 1961) is a portrait of Milan's petit-bourgeois milieu, while Un altro giorno ('One Fine Day', 1968) describes the efficiency of the city's advertising world. He later portrayed with restrained nostalgia Milan's peasant countryside during the 19th century in L'albero degli zoccoli ('The Tree of the Wooden Clogs', 1978). .:. Michelangelo Antonioni chose Milan as the set of Cronaca di un amore ('Story of a Love Affair', 1950) and La Notte ('The Night', 1960, with Marcello Mastroianni, Jeanne Moreau and Monica Vitti), the second chapter of his existential trilogy. .:. Milan was also portrayed in a few but lovely sequences as the background of a drama in Roberto Rossellini's Il Generale della Rovere (1959). It was the social setting for tragedies in Carlo Lizzani's Banditi a Milano (1968), it was viewed as a rather unconventional town for its time - the 1930s - in Mario Camerini's Gli uomini che mascalzoni (1932), and finally it was at the center of a political intrigue tied to the Resistance Movement in Aldo Vergano's Il sole sorge ancora ('Outcry', 1946). .:. Black-and- white film suits Milan's ambience, as the documentaries by Luigi Comencini or by Guido Guerrasio prove. Perhaps the loveliest Milan, the most tragic and lyrical, certainly the most unforgettable for the Milanese themselves, is the slightly squalid city portrayed by Luchino Visconti in Rocco e i suoi fratelli ('Rocco and His Brothers', 1960). This film pays homage to a Milan that no longer exists, that of the suburban fields around the Fiera. .:. 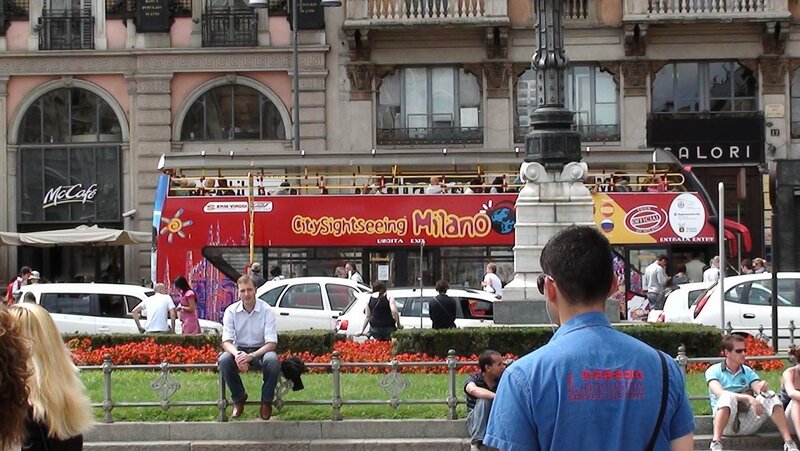 At the present time there is no dearth of talented young directors in the Milan area. The new-generation directors have proven their talents. Particularly worth mention are Maurizio Nichetti's disarmingly comic estro in Ratataplan (1979) and Ho fatto splash (1980), Gabriele Salvatores's ironic complicity with people running away from the horrors of life ( Mediterraneo , 1991, 1992 Oscar for best foreign film) and Silvio Soldini's subtle but 'political' handling of his characters' individual stories ( L'aria serena dell'Ovest , 1990; Le acrobate , 1997).